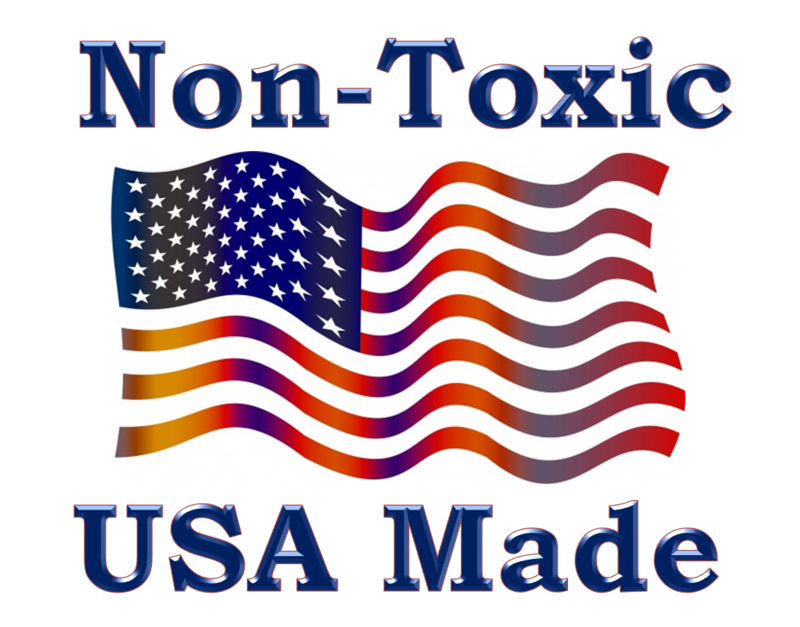 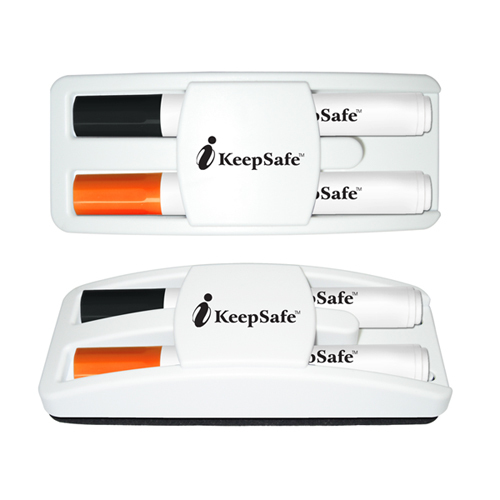 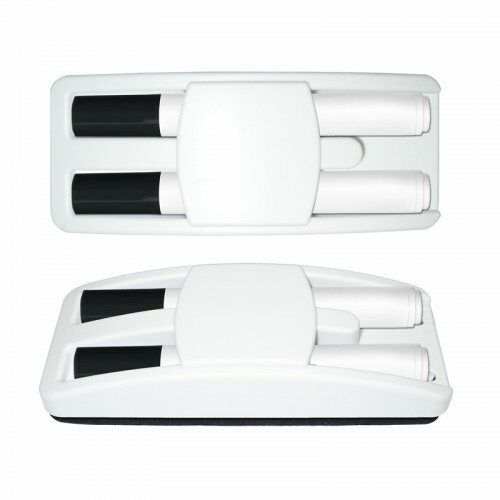 Our "Dry Erase Gear" Marker & Eraser Set houses two (2) USA Made low odor dry erase markers inside a felt eraser housing. 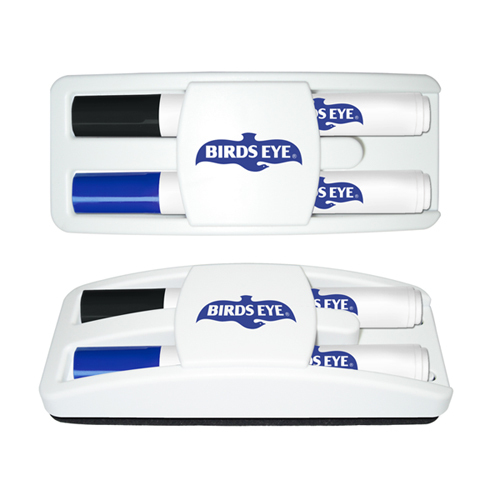 Your logo will not go unseen as it can be printed on the markers and eraser handle. Multi-color direct print available on Eraser Housing and Full Color Decals are available on the markers. 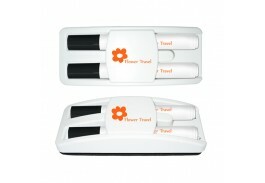 Contact us for additional charges.